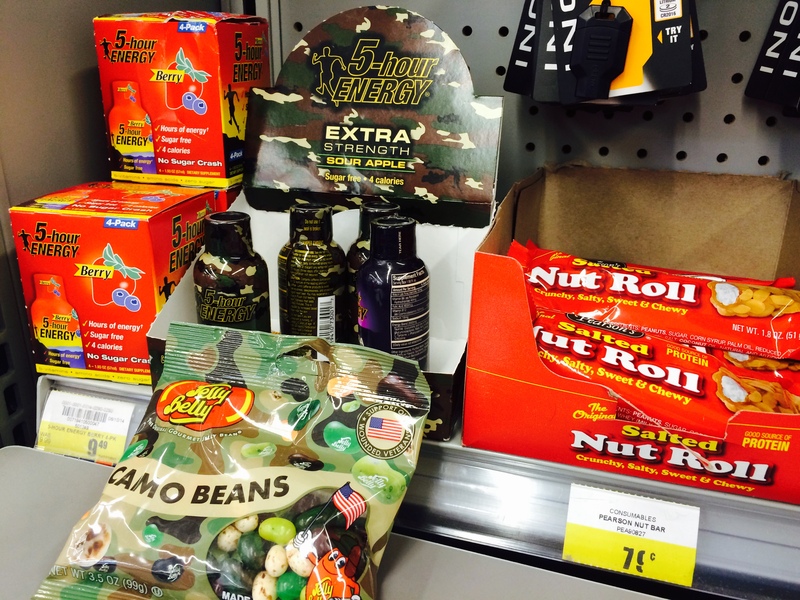 Ha, I noticed those camo jelly beans at Academy yesterday. Great picture but make my blood sugar go up. Including 5-hour Energy and Jelly Belly camo beans. lol … our war mentality jelly bellies …. =) made in the usa no doubt. Shouldn’t the camo beans be camo colored ((not just the bag)? It seems kind of pointless to use camo as a marketing strategy to get consumers to buy things, especially food products… but I guess it’s the sales that count. Camo Jelly Belly candy? How cool is that!? Haha how trendy of them? !